We sell a number of low melting alloys with gallium. If you would like to buy gallium or find out our current gallium price please feel free to contact us. Please pay attention to the regulations for transporting hazardous goods! The main application fields for gallium (mostly as gallium arsenic compound) are semiconductor technology and optoelectronics. The use in light-emitting diodes (LED) is here one of the most important and most quickly growing application fields. The market for GaN LEDs alone doubled its turnover to 100 billion LEDs from 2009 to 2013 (forecast of June 2013). Laser diodes, transistors and solar cells are also produced using gallium resp. gallium arsenic compounds. The low melting point of gallium is used in various gallium-containing alloys (for instance with tin or indium). The melting point of the lowest melting gallium indium alloy supplied by us (gallium abt. 75%) is only between 3 and 5 °C. Gallium alloys serve for instance as replacement for mercury in clinical thermometers. 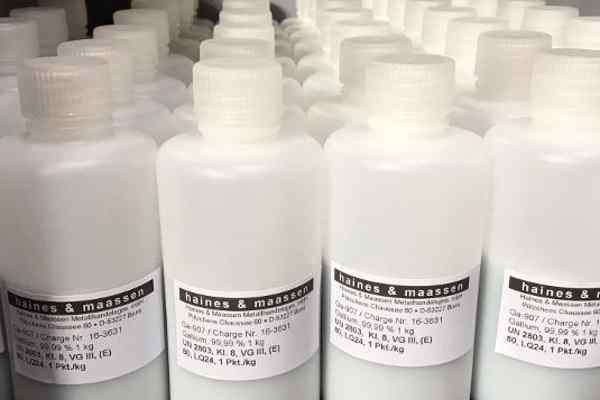 Other low melting alloys based on gallium and indium can also replace the low melting but not hazard-free NaK alloy (sodium potassium basis). A further potential use of gallium could lie in the cooling of computer processors. 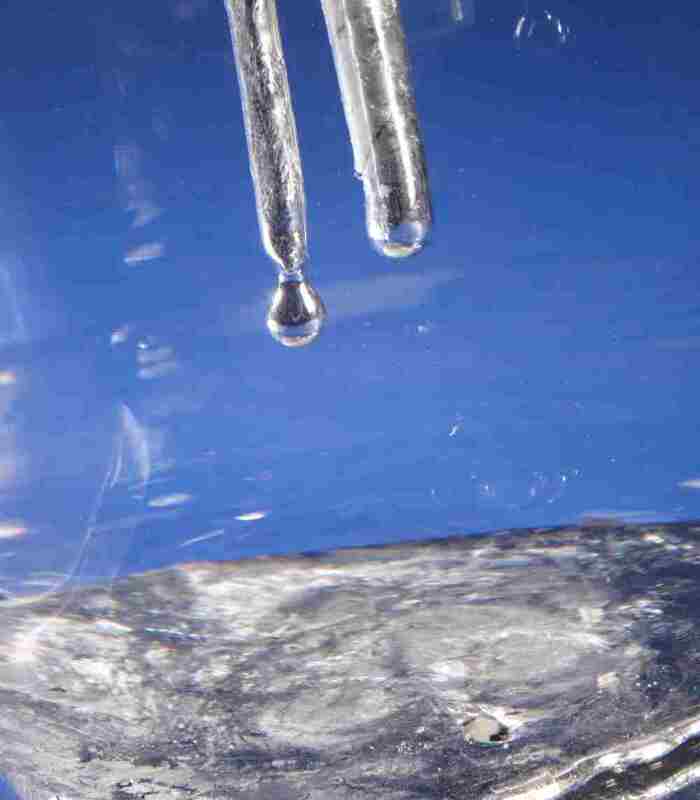 Gallium alloys can serve as cooling agent. Due to the high boiling point gallium or gallium alloys would be able to transport even high energies. Pure gallium is used in the high temperature thermometer production due to its high boiling point. Due to its wetting property and the very good reflecting quality gallium serves also the production of high-performance mirrors. One almost gets the impression that new applications fields for gallium are continuously opened up. GGallium does not only feature a very low melting point (gallium melts already at higher room temperatures) but also a boiling point of 2403 °C. For this reason gallium has got the biggest liquidity range of all metals. Gallium expands during solidification like for instance bismuth or water. Freshly cast gallium looks silvery. Gallium was discovered by Lecop in 1875. Gallium occurs in gallite, germanite and renerite with max. 1%. 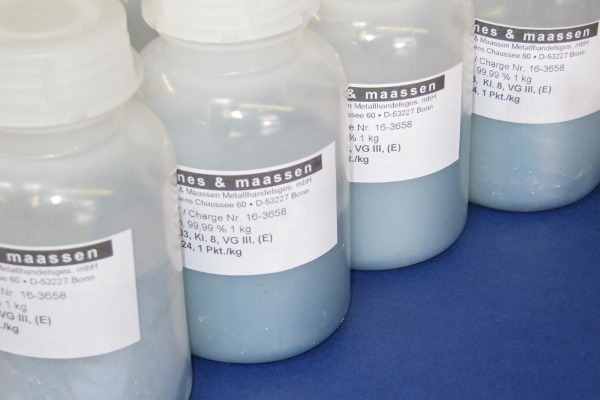 Commercially gallium is however mainly recovered from bauxite (with a gallium content of 0.1%) these days. The worldwide annual production of primary gallium amounted according to various sources to abt. 400 t with an indicated Chinese share of 70 %. 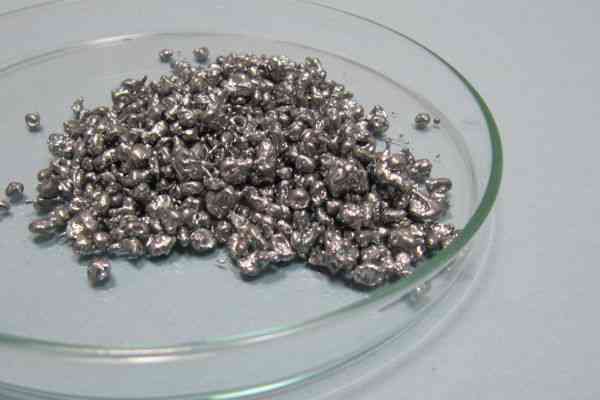 An important role plays recycling of gallium from gallium scrap resp. gallium residues – but this so called “Inhouse Scrap” cannot easily be recorded statistically and is partially already part of these 400 t. Gallium metal is not being traded on a generally accepted stock exchange. The current gallium price depends on the economic cycle resp. the demand, on possible production quantities and market expectations. If the demand for gallium-containing products (for instance LEDs) should increase considerably as presumed by many parties, the gallium price will most likely rise.